What is it that leads to the fraud rackets, selling forged certificates to students & job seekers in our country? The most valid answer can be pointed towards the high rate of unemployment and the sky high costs of higher education. These are only shortcuts to success which will always be momentary by the wrongdoers and those involved in this. There are numerous reports on these fraudsters who are not only from bogus universities but from reputed companies & institutions as well. A regular degree is required and not a correspondence degree, for the most of the jobs that are being applied for but to complete a regular degree, it takes about three years to complete with the cost coming up to 7 to 8 lacs. But this is lacked by most of the candidates. 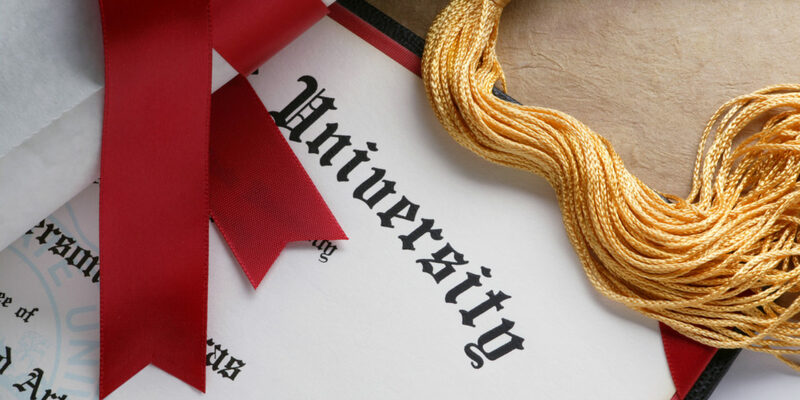 Just for tailing a degree behind their name, they opt for a correspondence course or a diploma course which will not be acceptable by most of the organization. Or on the other hand they might have a regular degree but will not be relevant for that particular position. This is not only for job seekers but also for students who want to get into colleges. The students might not have passed out or may have scored less or might not be in a position to afford the college that they dream of since it is expensive. To overcome all this hurdles, what if there is a shortcut? Yes, through way of forgery or faking documents and bribing the concerned officials to get through with these false credentials. And to carry out these activities, existence of fake companies and fake universities play a major role in providing the support. This support comes with the cost of only one tenth of the cost that is actually needed for a regular degree and within a time span of only 15 days. With the technological advancements where it is even more easier to manipulate documents and certificates, the results will be flawless for the naked eye to find faults in it. The chances of getting caught is very slim as the job seekers or the students do not find jobs or colleges within their own state but go outside their state. To lay down a barricade along the lines of these educational fraud scams, a decent background verification needs to be executed every time. To thwart these fraud rackets on credentials, Fourth Force offers the best solution with strict standards being followed in the verification of the academic documents. They find every possible way, in and out, to foil the fraudulent plans of the wrongdoers. Fourth Force gives the strongest support in providing with accurate and reliable results through the verification process, thus eliminating the fraud rackets around the country. These verifications are done by the most elite & trusted personnel who have access to get into every nook and corner of an organization to bring out the truth. There are few red flags to be watched out for when carrying out a credential verification. The candidate might claim to have lost the original documents. The candidate might claim to be graduated from a reputed university or college but will be able to provide only a letter of course completion. Presence of improper or outdated signatures. Presence of incorrect seals or emblems. Irregular spacing between words or letters, or insufficient space for the text. Excessive seals and stamps in an attempt to make it look more official. Difference in paper quality, size (regular or legal) texture etc. Documents might have been tampered and has evidence of burn marks, erasure or corrections. There might be use of unprofessional language on academic documents, poor grammar or misspellings. We are not saying all of the credentials are bogus but taking a precautionary measure is always a first step towards truth.